Since becoming a mom of twins, my priorities have shifted from home design to mom duty, clean diapers, and trying to fit in sleep. After two months, I’ve finally been able to get into a rhythm and back to one of my favorite activities: interior design. 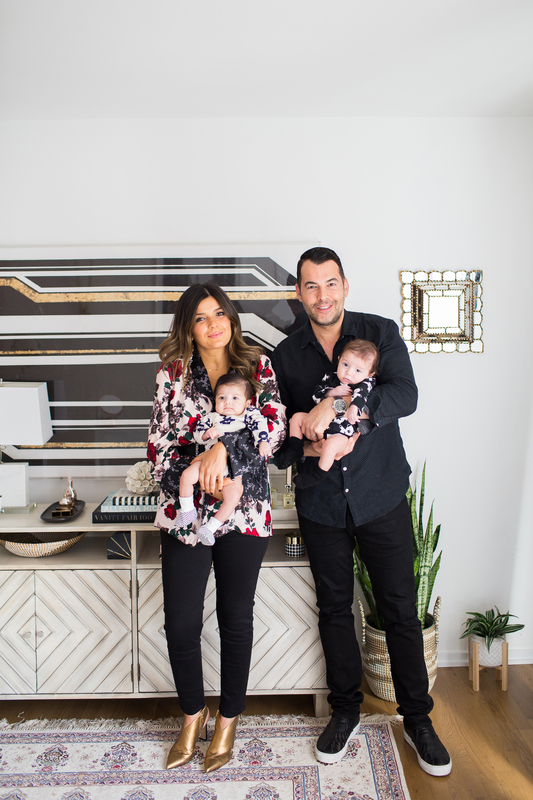 And when it comes to refreshing and styling a space in our home, my first go-to is HomeGoods. They not only hold a special place in my heart (and home), but visiting a HomeGoods always feels like embarking on a great treasure hunt. So you can imagine I jumped at the opportunity when they asked me to participate in a refresh and restyle of my office. As background, my office space is a sanctuary where I go not only to conduct business, but also as a destination where I seek inspiration. My design philosophy was to create a space that complements my style and aesthetic while also a practical area where I can work. 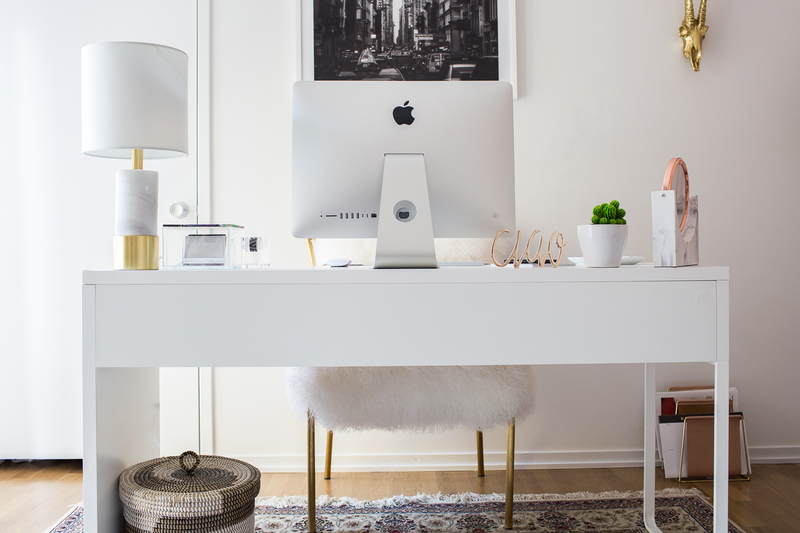 As I thought about the redesign and took an inventory of my office, I put together a list of the Top 10 that would transform the space. I thought it would be helpful to share my insights on how I incorporated these changes and hopefully these tips will help you when you take on a similar project. 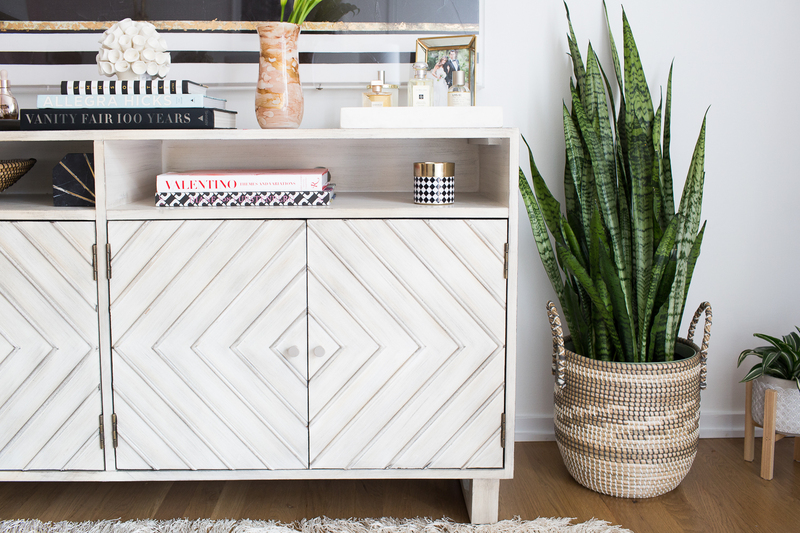 All of the items are from HomeGoods too, which means its not only guaranteed to be chic, but also a great value. 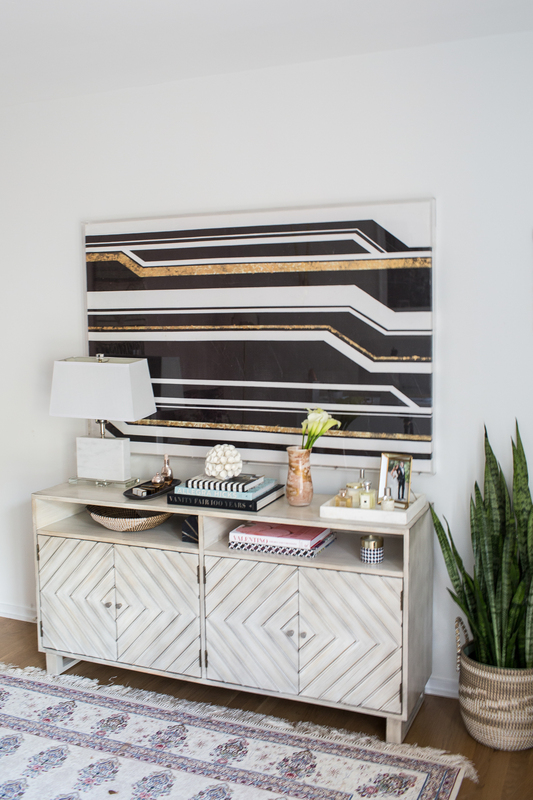 Art – Every office needs a strong piece of art. It’s not only a great conversation starter, but it also conveys a strong statement. I love this statement piece I found at HomeGoods. 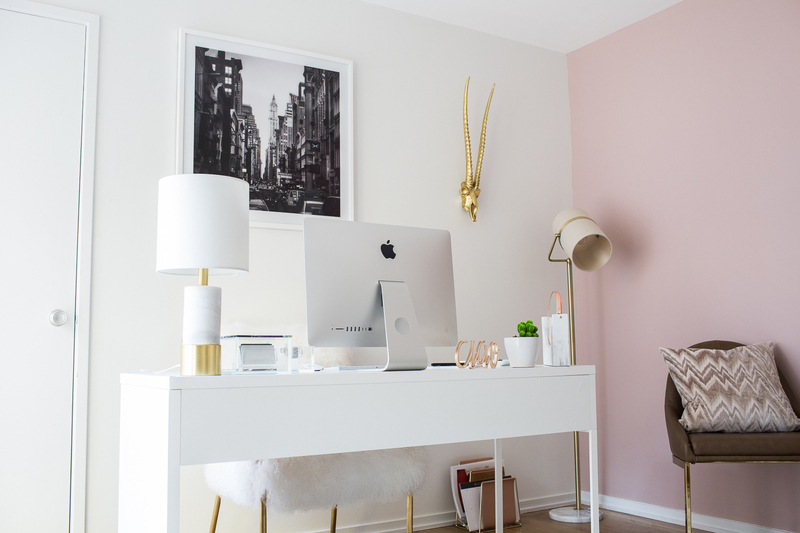 The gold and black accents go perfectly with the theme of my office. 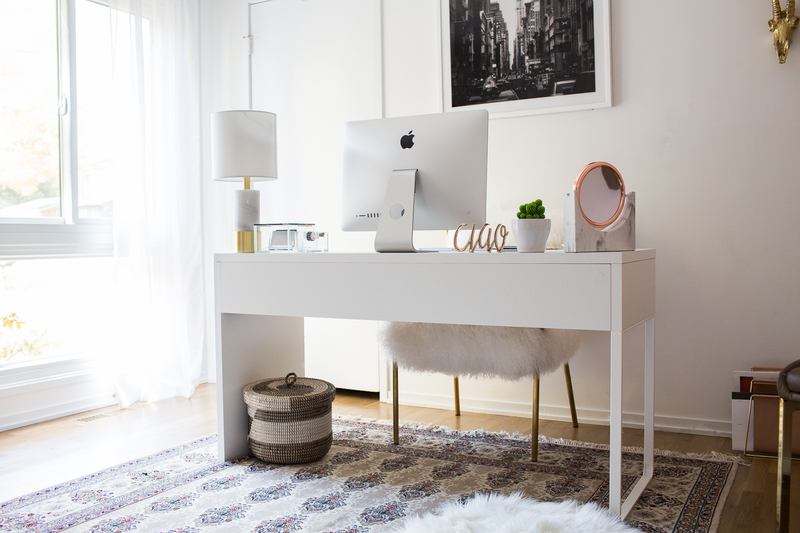 Carpet / Sheep skin throw – I can’t underscore how much a great carpet or throw can add texture to a room and it’s also a cozy and soft place for my twins to hang out. Chairs – Every office needs great chairs. 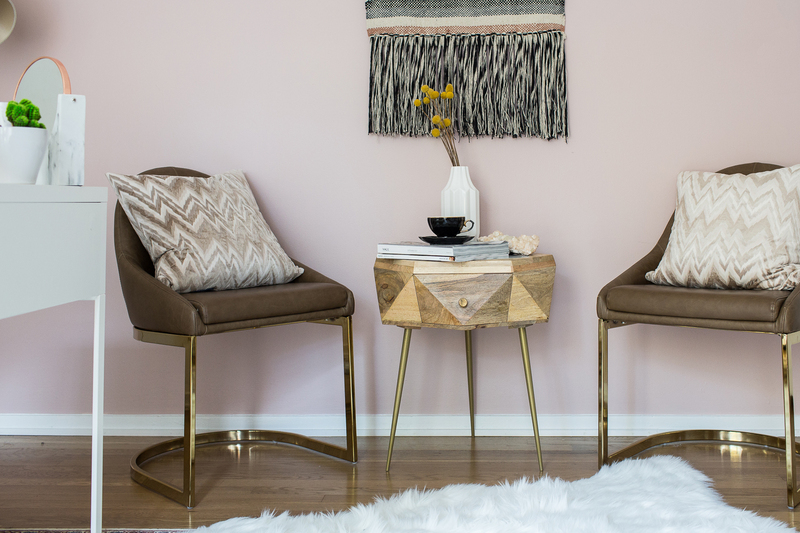 These brown leather accent chairs with gold detailing are so comfortable and provide a great space whether it’s reading the morning paper with a coffee, having meetings, or a conference calls. Lighting – I believe there’s a direct correlation between lighting and productivity. Marble base lamps are my all time favorite when it comes to lighting. I found two really great options to complement the sideboard and my desk. Table Top Accessories – Accessorize, Accessorize, Accessorize! There’s so much you can do with accessories to put your imprint on a room. Candles, lightboxes, paperweights, or a mirror that reinforces your daily mantra cannot only be chic but inspiring. Books – You can always find me perusing a book on the weekends as I absolutely love fashion and photography. They’re not only my go-to for inspiration, but a great book really complements a room. 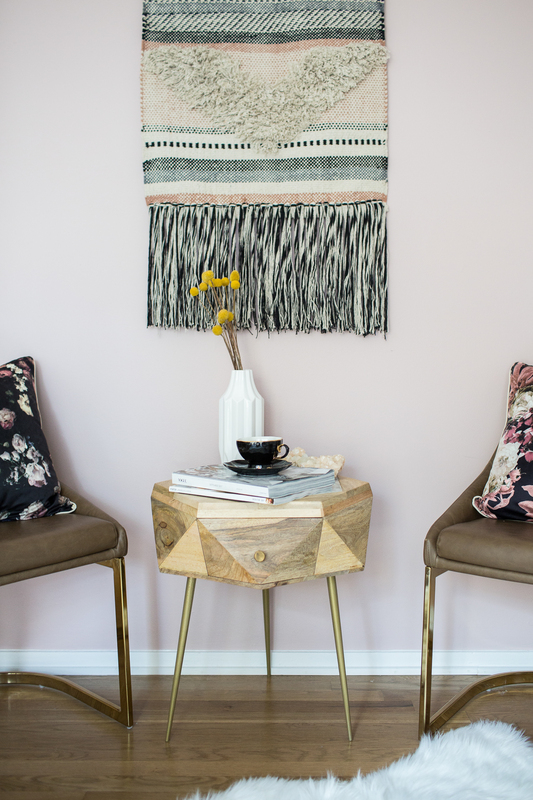 End Tables – An end table is like a “punctuation mark” in room design. It also a great placeholder for drinks when guests visit and storing my collection of magazines and makeup! 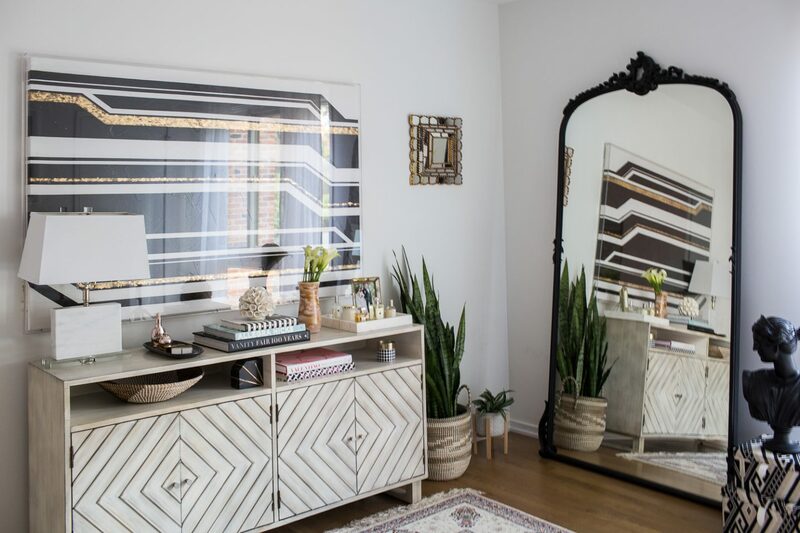 Mirrors – Here’s a design trick: mirrors can always make a smaller room look larger. 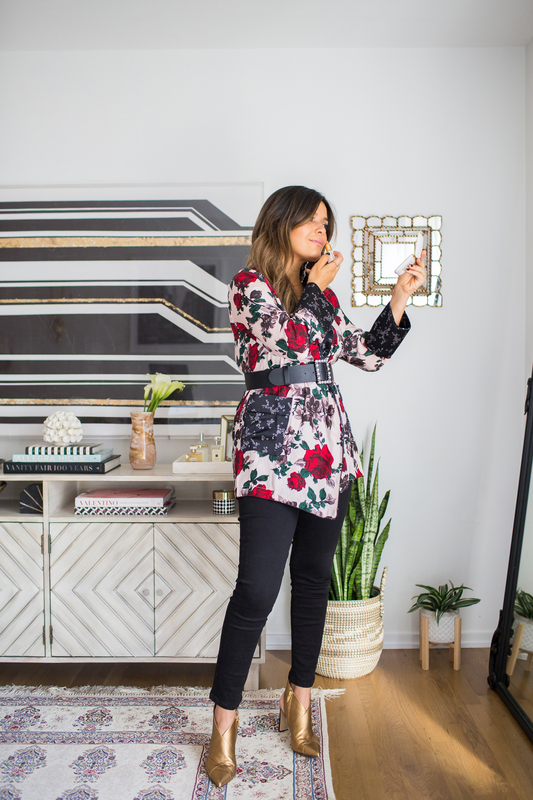 And every girl needs a mirror in her office to check makeup on the go (nobody wants to see lipstick on your teeth). Window Treatments – Window treatments are an essential and economical way to add elegance and depth to a room. I love this acrylic curtain rod I found at HomeGoods and perfect linen curtains to still let tons of light in. Pillows – I seldom see a pillow I don’t like. 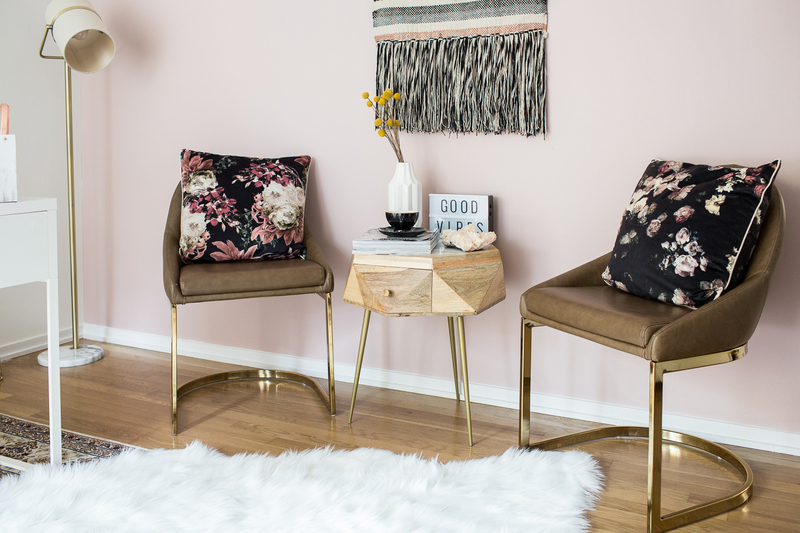 They’re not only great for a quick meditation or nap, but they can easily be switched by the season to change up the space and design of a room. A big thank you to HomeGoods for giving me so much inspiration store to store, while I search for perfect treasures for my space! Happy hunting! This post is sponsored by HomeGoods. Pinned! 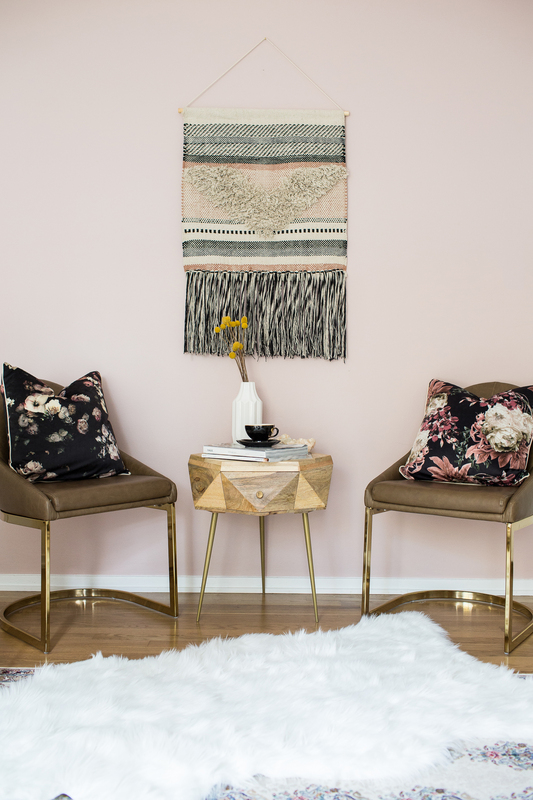 Your home is major interior inspiration, so pretty! Love all the details! And those chairs, what a perfect addition! HomeGoods is the best!! Aww thanks love! Couldn’t agree more. So many great finds! 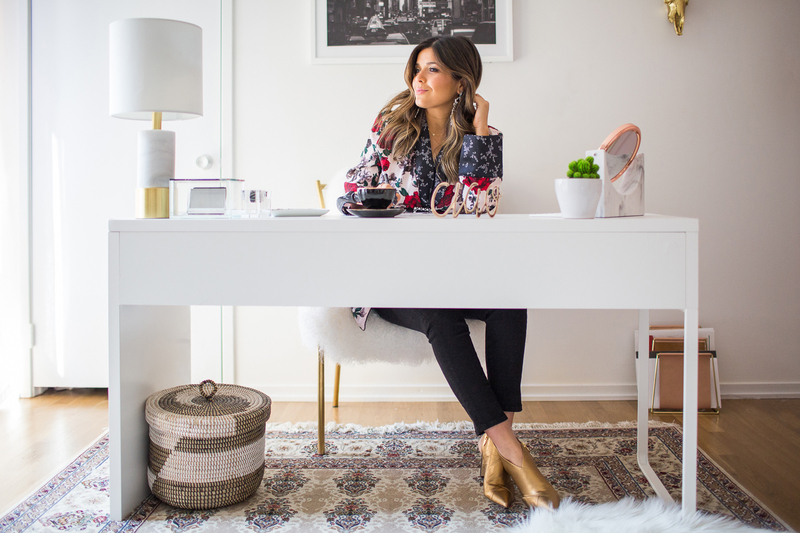 I am looking for this white chair thats at your desk! what is it called?